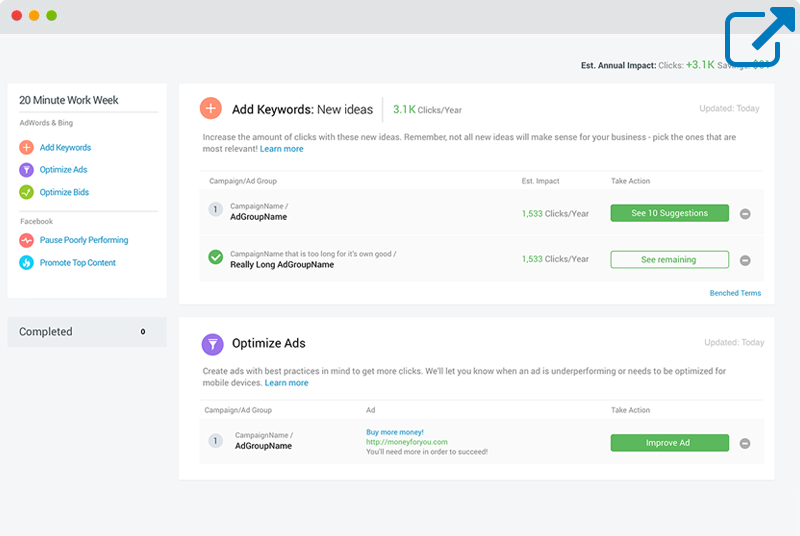 WordStream Advisor makes advertising with Google Ads easy and effective for all businesses. Our software provides automated alerts tailored to your goals so that you can get more out of Google Ads, without more effort. Connect your Google Ads account with the click of a button. We take the complexity and guesswork out of Google Ads with intelligent alerts to optimize bids and budgets, pause poorly performing ads, improve ad text, and more! Find opportunities, fix problems, and watch your results improve. 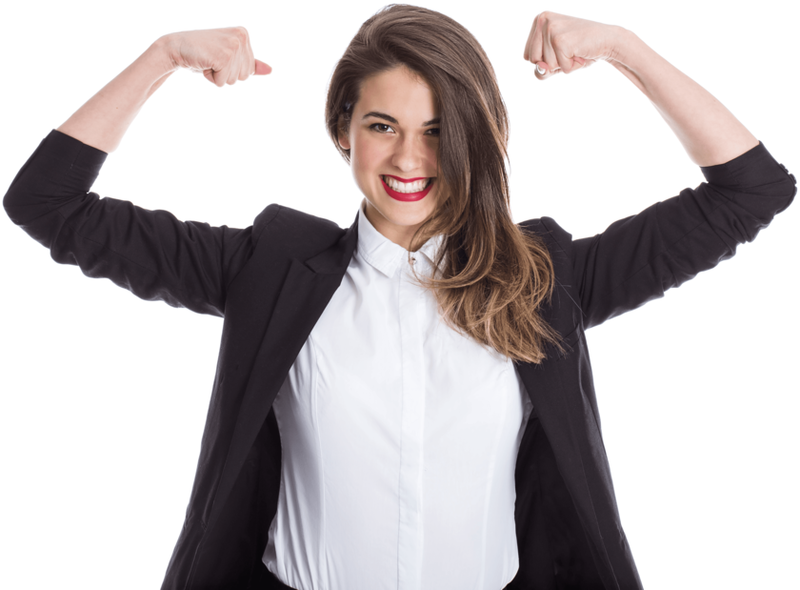 Plus, our automated success reports and easy-to-use dashboard ensure that marketers get the credit they deserve. The PPC workweek is by far the best feature of Wordstream. All I have to do is log into the product at least once, twice at the most, per week and they give me actionable insights into how I can reduce my spend and increase performance. WordStream Advisor provides support for all of your current and future advertising needs, at no extra cost to you. 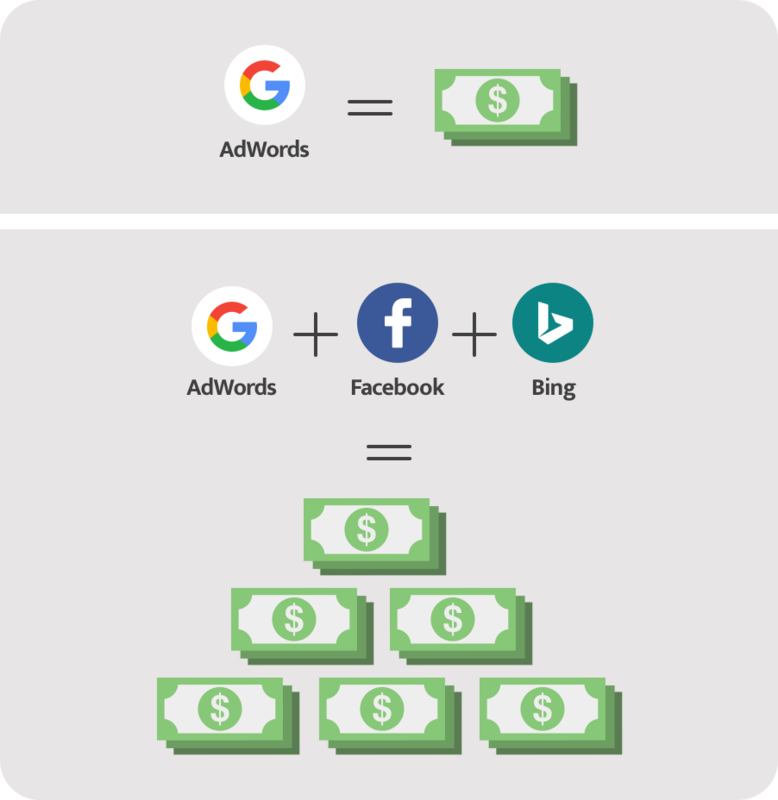 Extend your success with Google Ads by expanding your campaigns onto Bing or Facebook. We'll combine all of your performance metrics into one easy-to-use dashboard, so you can increase your results without increasing your effort. During the course of my work week I can be found working on print, newsletter (email), product brochures, website maintenance and of course Google Ads. Although I am an intermediate user of Google Ads, I rarely have the time to devote as much time to it as I would like. Wordstream, allows me to pay attention to the details and not the pathway to find those details that need attention. Get more out of PPC without raising your budget. As is true for many WordStream customers, safari company Go2Africa found that the single most valuable resource WordStream offered them was time. 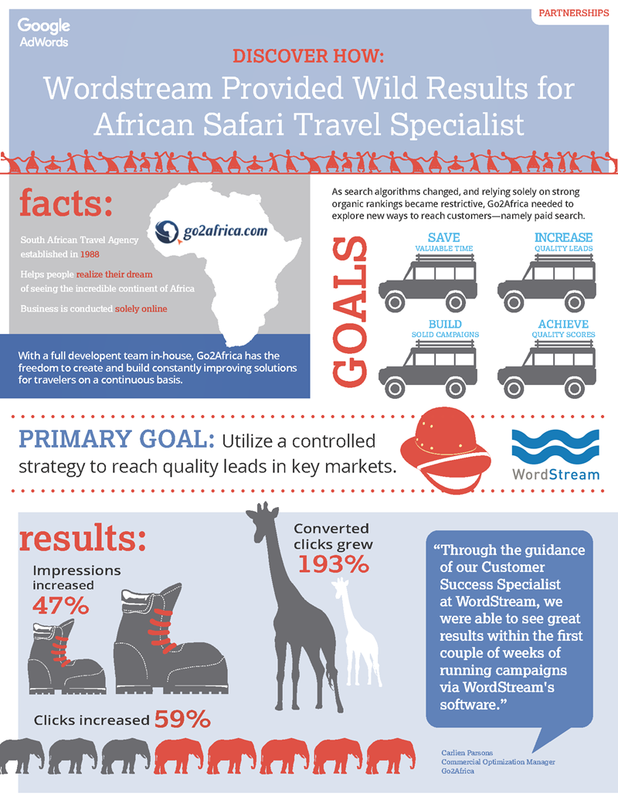 By simplifying and streamlining their Google Ads workflow with WordStream, Go2Africa can use their time more effectively and get more accomplished.